A hard drive failure will always be one of the most difficult circumstances for any computer user to deal with. It can mean stress, panic, and that feeling of not knowing whether or not all of your important data will ever return. Business documents, family photographs, accounting data – all are critical to our daily lives and when a mechanical hard drive crash makes those files inaccessible, it can be a truly brutal experience. No matter what a computer repair shop or even a competing data recovery service may have told you, your hard drive is definitely recoverable, even if the circumstances surrounding the crash seem very difficult. No matter how extreme the cause of the data loss – be it minor mechanical failure all the way up to major water or fire damage – there is always a solution that will ensure your valuable data is retrieved safely and effectively. Hard Drive Recovery Associates offers you a variety of data recovery solutions. We have made it our focus over the past 20 years to offer the quickest, most affordable hard disk recovery solutions in the industry. This means not only do we work to ensure your data is back in your hands as quickly as possible, but we do it with a simple guarantee: no data recovered, no charge. We can do this because over 95% of our customers leave happy, with 100% of their data retrieved. Also, we never charge for a recovery diagnosis. Our 24 hour toll-free support line is always open to customers throughout the country to answer your specific hard drive questions, and our engineers are experienced with nearly every kind of data loss scenario – no matter how extreme your case may be – we have seen it before. And we can help you immediately. Meanwhile, we have also offered specialized data recovery services to the Irvine, Santa Ana and the surrounding Orange County areas since we began. For businesses, this means immediate, free server pickup on RAID recovery and repair jobs. For consumers, this means a fully-equipped and appointed lab that is located directly off of the I-5. Plus, we are also just a call away. One in eight drives we evaluate can be recovered with a free, simple fix. Get a free evaluation here. Or call us on the number above! 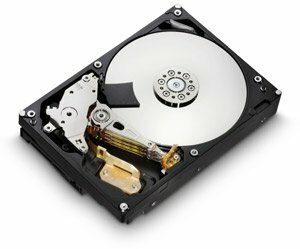 While we do offer a wide variety of hard drive recovery services, and have worked with everything from digital backup tapes to portable music players to external hard disks, we do focus on three primary types of hard disk recovery. 1. External Drive and Laptop Recoveries – Because computers are a lot more portable than they have ever been, and external hard drives are more widely available to the consumer user, the need for external and laptop hard drive recovery services has increased markedly, not only in the business, but consumer markets. The portability factor of these devices, unfortunately, is a double edged sword which can mean that the number of hard disk failures in this particular category increases on a daily basis. As a result of the demand, HDRA offers expedited 24-hour laptop pickup and delivery to best ensure that you can get back to work with your system immediately. 2. Server And RAID Data Recovery Solutions – Server technologies continue to be a mainstay in the business community, growing at an incredibly fast pace annually, especially with the popularity of cloud computing, and the fast access to data that it can provide. So whether you are talking about a RAID 10 server breakdown or a Microsoft Exchange Server database problem, we have the tools and experience to get your company back on track immediately. And, we also offer a specialized 24-hour drop shipment program to ensure that you’ll have your server back online running your critical systems as quickly as possible. 3. 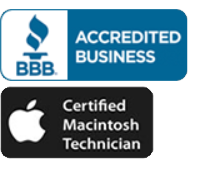 Mac Data Recovery – The recovery of mac hard drives has always been a major part of our business, well before the iPhone was even a glimmer in Steve Jobs’ inventive eye. And as Apple Computer continues to innovate, we continue to grow with them, recovering data from iPhones, IPads, Macbooks and Macbook Air, and pretty much every device the company makes. If it has that clean Apple logo on it and was originally designed in Cupertino, California, we can recover it… guaranteed. HDRA has been providing hard disk data recovery services nationally since our company first began is a server repair shop in 1992. We have provided solutions to everyone from housewives to Fortune 500 CEOs, from convenience stores to major manufacturing facilities. Our customers share one thing in common: they are looking for safe, effective data recovery, at the best price possible. And for 20 years, we have provided this. We hope to do so for 20 more. Contact us here for a free data recovery evaluation.